It is quaint and adorable when sports fans get worked up over their teams’ schedules as if games primarily are athletic competitions rather than what they really are — television shows. Hence the usual, way-too-spread-out NBA Finals we currently are experiencing. And hence the futility of decades of whining over prime-time NFL games and 8 p.m. Sunday baseball games. They stink, obviously, and in the following order of legitimate grievance: 1. Fans with tickets to said games. 2. Teams involved in said games. 3. People who would like to watch on TV but have jobs and/or classes in the morning. The purest measure of such things is money. Check out the secondary ticket market prices for NFL games at night and ESPN’s “Sunday Night Baseball” and you will get a clear sense of how the paying customers feel about this. But, again, these are TV shows, and the networks pay many millions and sometimes billions of dollars for the privilege of bringing them to you, so they have a right to recoup those investments with prime-time advertising dough. Sometimes, though, it goes too far, and business sense turns the athletic competition part into farce. Which brings us to the point you knew I was getting around to: ESPN and Major League Baseball crossed a line when they moved the Yankees’ July 8 day game against the Blue Jays in Toronto to 8 p.m., shortly after the Yankees signed off on a twi-night doubleheader in Baltimore the next day. Yes, the Yankees knew that game was vulnerable to being flexed to nighttime. Yes, ESPN has the right to televise teams that draw eyeballs, which the Yankees do better than most. The surest way to avoid having your team appear on “Sunday Night Baseball” or on Thursday, Sunday or Monday night football is to have a bad team — or at least one in a small media market. Still, there are limits. No one in baseball does or should feel bad for the rich and mighty Yankees. But their long list of postponements this season is not their fault, and they should be given some consideration. They appear to be in for a long, close battle for the American League East title, and every game counts. 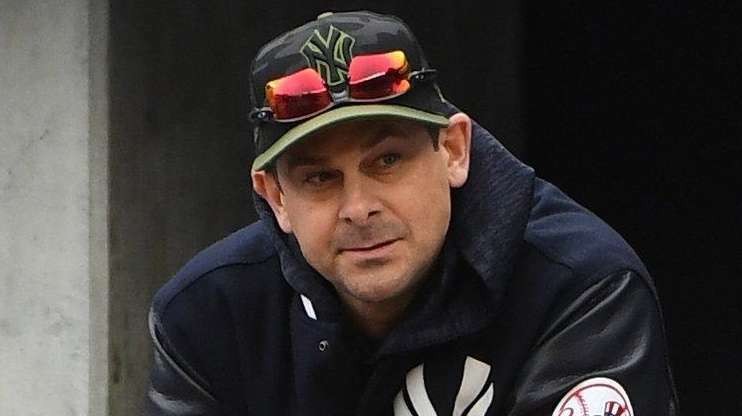 The amusing subplot is that Yankees manager Aaron Boone, who is greatly displeased by the Sunday night situation, spent the 2016 and 2017 seasons in ESPN’s “Sunday Night Baseball” booth. 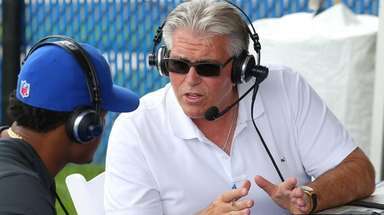 Players often are asked when they retire to the TV booth whether they will be able to be critical of their former teams. Less common is a manager being in the position of criticizing his former television network. So Boone has done, though, and rightly so. This is weird and unnecessary. ESPN has limits on how often it can show any given team, but it is early June and there still is enough flexibility in the system to come up with an alternative. Each team is allowed a maximum of six appearances on “Sunday Night Baseball.” The Yankees’ game against the Mets this weekend will be only their second. So whether or not they play at night on July 8, they have several more late Sundays to endure. ESPN declined to comment. ESPN revamped its Sunday night booth this season, with play-by-play announcer Matt Vasgersian and analyst Alex Rodriguez joining holdover Jessica Mendoza, and ratings got off to a slow start. That is not necessarily the fault of the announcers. But it also is not the Yankees’ fault. Why should they have to pay a price on July 8? Let them sleep! Source: 'No cooperation' if ESPN keeps Yanks on 'SNB'ESPN's decision to move the Yankees' game scheduled for 1 p.m. game July 8 against the Blue Jays to "Sunday Night Baseball" means an 8 p.m. start -- and the possibility of playing three games in 24 hours.